When Kerala was under a Nipah scare, groups of people have braved the virus to make sure that the disease is kept under control. From doctors and administrators to volunteers and caretakers, these Good Samaritans showed us what humanity means in times of crisis. A day after the death of Perambra’s Muhammed Salih was officially attributed to the Nipah virus, ministers K K Shailaja and T P Ramakrishnan headed a meeting in the conference hall of the Kozhikode Government Medical College. Firefighting was on the agenda on that meeting on May 21. The division of labour turned out to be difficult. As expected, the district medical officer was required to shoulder more than he could. District collector U V Jose rose to the occasion. He offered to assign tasks. Jose made sure that the entire district administration worked in tandem to contain the dreaded disease. ADM T Janil Kumar quickly put together a team from the revenue department to identify those who had come in contact with the virus. The team coordinated with the health department officials to help them out. The collector made another decisive intervention days later. It was a routine review meeting on June 4 in the Kozhikode Government Guest House when Jose suggested that the Kerala IT Mission may be asked to form software to monitor the progress of the activities. He even drew up a blueprint. The Government Medical College in Kozhikode became the headquarters of the forces fighting the spread of the virus. Principal Dr V R Rajendran and superintendent Dr K T Sajith Kumar led the efforts. They found ample support in doctors and staff including the resident medical officer, Dr M K Sreejith, who has not taken a day off for the last three weeks. Assistant resident medical officer Dr E Danish is about to retire on June 30 but he has had a hectic climax to his career. T Kanakam, the nursing officer who refused to take a day off, Kallikode Pankajakshi, the nursing superintendent, N Shobhana and K P Sheena are some of the unsung heroes. Health inspector A Dileesh and junior health inspector P Biju have been working overtime to clear away the medical waste including used masks. Postgraduate doctors, house surgeons and the heads of various departments have done a commendable job. 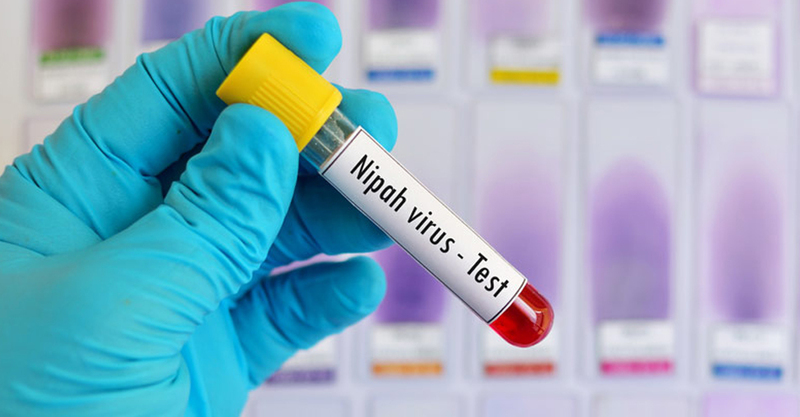 As many as 2,626 persons who had come in contact with the Nipah virus had been identified as of Thursday evening. Each of them have to be contacted every day to keep a tab on their health condition. The draining project by the health department runs flawlessly thanks to a group of young volunteers put together by the district collector. The 22-member team attached to the collector’s internship programme is based out of a room in the Government Guest House. They do not have an easy job. Not everyone responds gently to the daily inquiries about their health. The youngsters keep their cool and try to reason with the potential carriers. P R Amritha from Mullankolli in Wayanad, Muhammed Tanseeh from Vadakara and S Dhanusree from Malapparambu are proud to be part of the team, like their colleagues. B P M Rajeesh did the unthinkable when even seasoned health workers backtracked from handling the bodies of Nipah virus victims or even people who were suspected of having succumbed to the virus. The Keezhmadu resident who joined as a temporary sanitary worker in May has not left the Medical College hospital campus for the last 16 days. B P M Rajeesh helps out the people being monitored in a special ward and their bystanders.Rajeesh did not hesitate in preparing the bodies of the latest five Nipah victims for burial. He said that he could not go home for want of replacements. He helps out the people being monitored in a special ward and their bystanders. He is often the only one available to buy meals for the patients.